Something a little different to share today, but important if you are (a) not especially gifted/interested in cooking, (b) love great food, and (c) are a bit of a nerd. Sous vide is the technique, and the Joule is the solution. 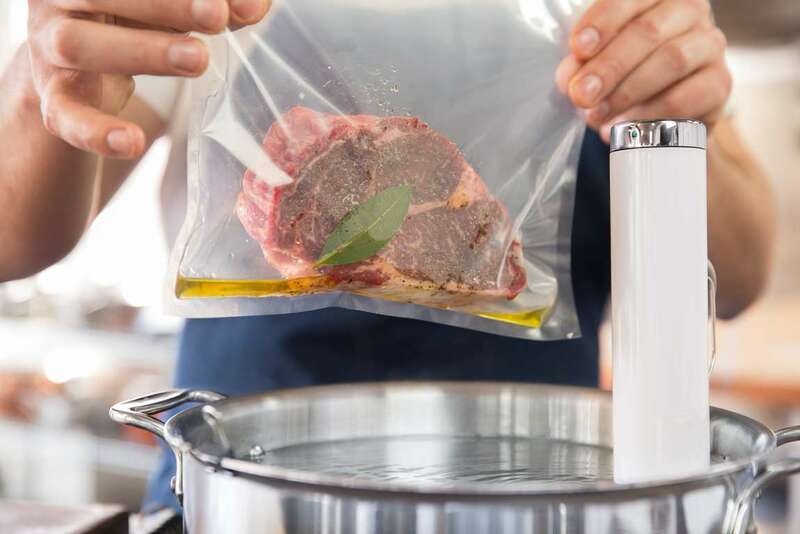 Sous vide is a method of cooking that involves putting food in a bag and submerging it in a water pan that is kept at a regulated temperature. You then essentially slow-cook the food, but because the water that the food is in is so consistent in temperature, it evenly cooks the food. The result of this is phenomenal food. While I am still fairly new to sous vide, everything we have tried has been a significant improvement compared to regular methods (e.g. grilling). As an example, chicken is notoriously difficult to cook well. When I sous vide the chicken and then sear it on the grill (to get some delicious char), you get incredible tender and juicy chicken with the ideal grilled texture and flavor. Steak is phenomenal too. I use the same technique: sous vide it to a medium-rare doneness and then sear it at high heat on the grill. Perfectly cooked steak. A particular surprise here are eggs. When you sous vide an egg, the yolk texture is undeniably better. It takes on an almost custard like texture and brings the flavor to life. So, sous vide is an unquestionably fantastic method of cooking. The big question is, particularly for the non-cooks among you, is it worth it? Easy – you can’t really screw it up. Put the food in a bag, set the right temperate, come back after a given period of time and your food is perfectly cooked. + Low Effort – it takes a few minutes to start the cooking process and you can do other things while it cooks. You never need to babysit it. + Low Risk – with sous vide you know it is cooked evenly. As an example, with chicken, it is common to get a cooked outer core (from grilling) and it be uncooked in the middle. As such people overcook it to prevent the risk. With sous vide you just have to ensure you cook it to a safe level and it is consistently cooked. + Minimal Cleanup – you put the food in a bag, cook it, and then throw the bag away. The only pan you use is a bowl with water in it (about as easy to clean as possible). Perfect! Thus, the result is great food and minimal fuss. One other benefit is reheating for later eating. As an example, right now I am ‘sous vide’ing’ (?) a pan full of eggs. These will be for breakfast every day this week. When the eggs are done, we will pop them in the fridge to keep. To reheat, we simply submerge the eggs in boiling water and it raises the internal temperature back up. The result is the incredible sous vide texture and consistency, but it takes merely (a) boiling the kettle, (b) submerging the eggs, and (c) waiting a little bit to get the benefits of sous vide later. This is where the nerdy bit comes in, but it isn’t all that nerdy. For Christmas, Erica and I got a Joule. Put simply, it is white stick that plugs into the wall and connects to your phone via bluetooth. You fill a pan with water, pop the Joule in, and search for the food you want to cook. The app will then recommend the right temperate and cooking time. When you set the time, the Joule turns on and starts circulating the water in the pan until it reaches the target temperate. Next, you put the food in in the bag and the app starts the timer. When the timer is done your phone gets notified, you pull the food out and bingo! The library of food in the app is enormous and even helps with how to prepare the food (e.g. any recommended seasoning). If though you want to ignore the guidance and just set a temperature and cooking time, then you can do that too. When you are done cooking, throw the bag you cooked the food in away, empty the water out of the pan, and put the Joule back in the cupboard. Job done. Now, to be clear, there are many other sous vide gadgets, none of which I have tried. 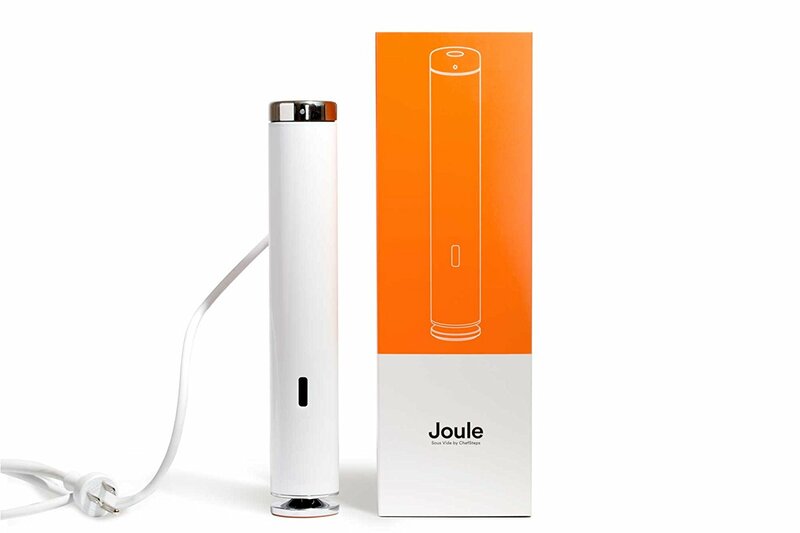 I have tried one, the Joule, and it has been brilliant. So, that’s it: I just wanted to share this recent discovery. Give it a try, I think you will dig it as much as I do.